Before Bedtime is a painting by Julie Schronk which was uploaded on January 15th, 2010. 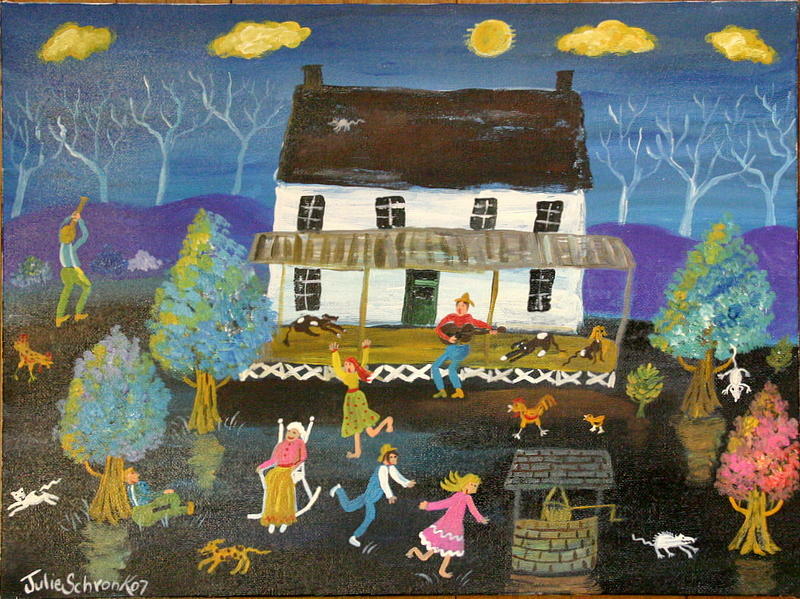 It's before bedtime...a time of magic out on the farm in this new 12 X 16 painting. The deep colors in this painting are exquisite! There's lots of activity...guitar strummin', possum chasing, Granny in her rocker, stories being told and one guy who is intent on gazing at the stars! There are no comments for Before Bedtime. Click here to post the first comment.